Цена в точки: 24750 т. !!! COMBO with 4000mAh 4S Battery and Team Orion Advantage One 406 AC/DC Charger ORI30221 !!! 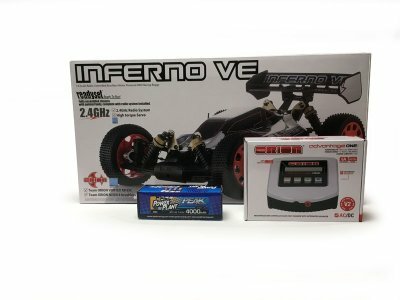 Factory assembled Inferno VE Readyset delivers blistering acceleration of 0-50m in 3.5 seconds; now updated with minor changes. 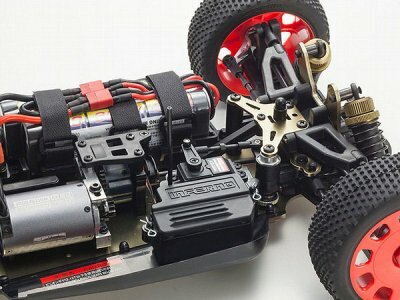 With its formidable reputation built on the racing scenes around the world, the VE uses the flagship model as a base to add a new transmitter/receiver/servo/brushless motor & ESC as well as minor enhancements to the chassis design. The new Syncro KT-231P transmitter delivers vastly improved control and features precision setting adjustments with throttle end point adjust, dual rate adjuster, plus a high-torque and high-speed steering servo. 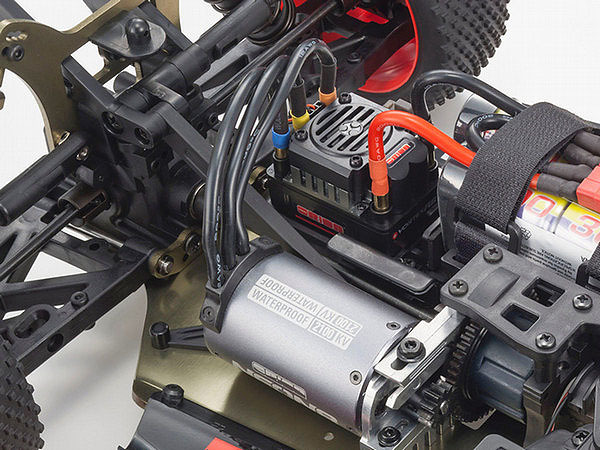 In addition, the powerful new Team ORION brushless motor and ESC combines with big bore oil shocks and high-grip square block tires to deliver superior performance on any surface. The Inferno VE 2.0 KT-231P allows anyone to test the bounds of common sense with powerful brushless motor acceleration. Pre-assembled chassis and body in a Readyset package can be ready for action the day you buy it. Full-time 4WD with low C of G 3-diff shaft drive. Big Bore oil shocks & 4-wheel independent double wishbone suspension. Full bearing specifications with 18 ball bearings on drive system and suspension. Features thick suspension arms with high torsional rigidity. Wide variety of optional parts is available to upgrade the chassis. Equipped with 1.0 module metal main gear, designed for hard running. Features high precision, efficiency and strength machined spiral gears on front/rear gear diff ring & pinion. Installed with high efficiency and high strength machined metal gears on center diff. Realizes stable performance even under severe driving conditions.